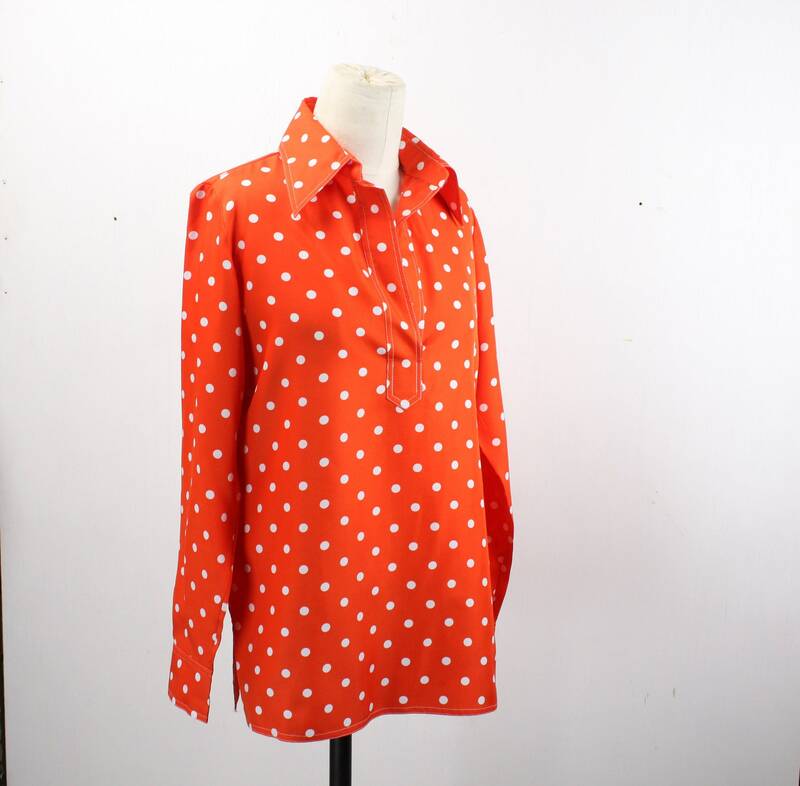 This vintage blouse by Lord & Taylor is in stunning condition! 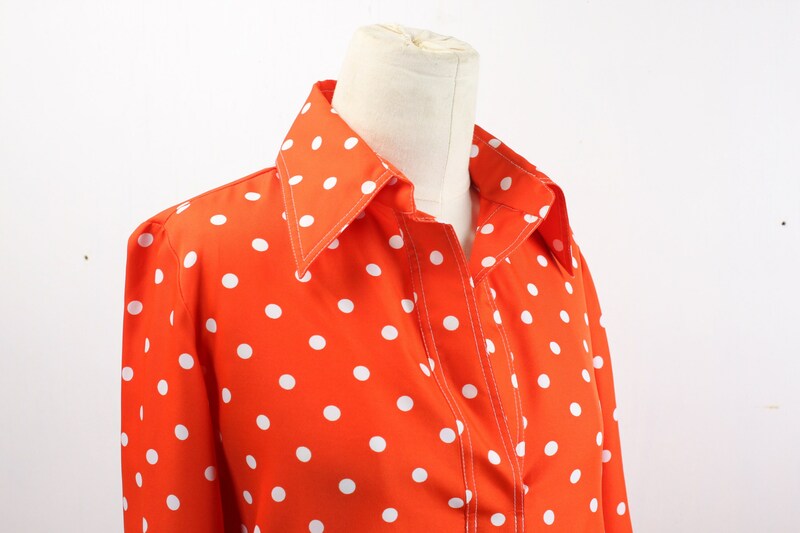 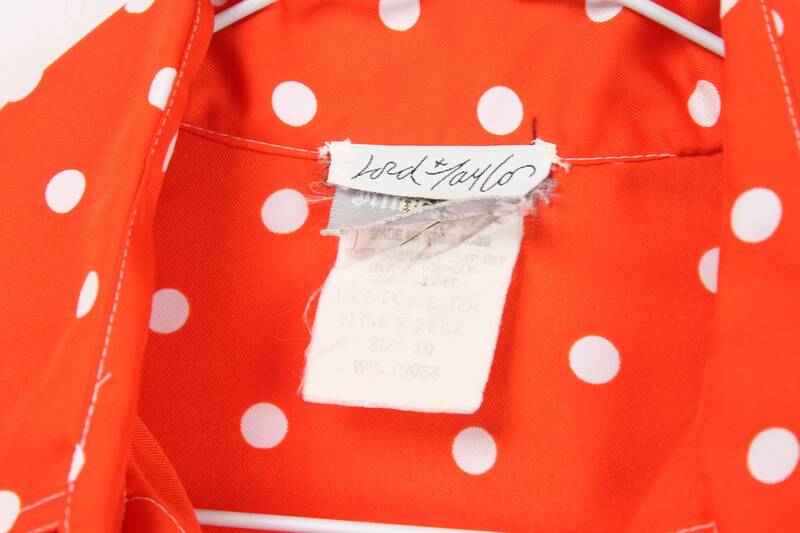 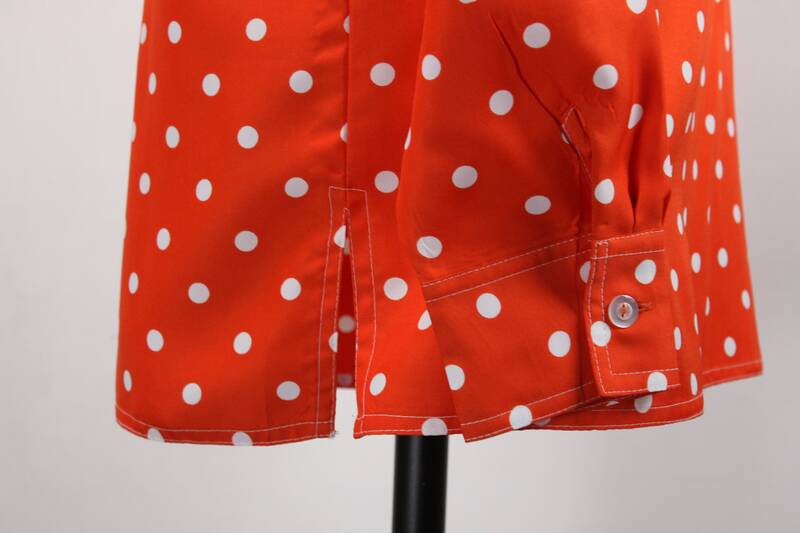 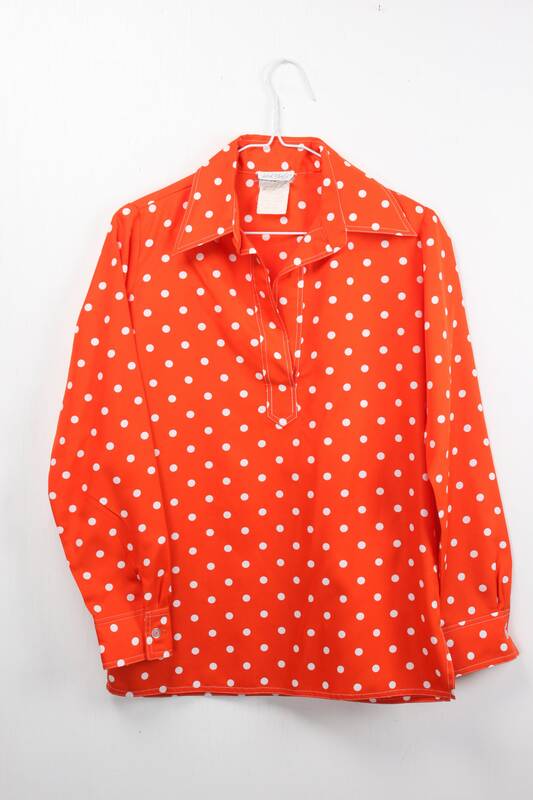 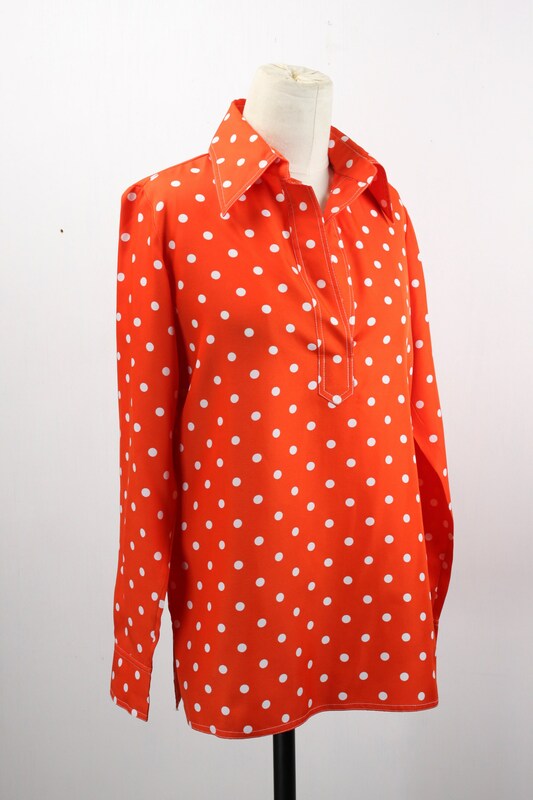 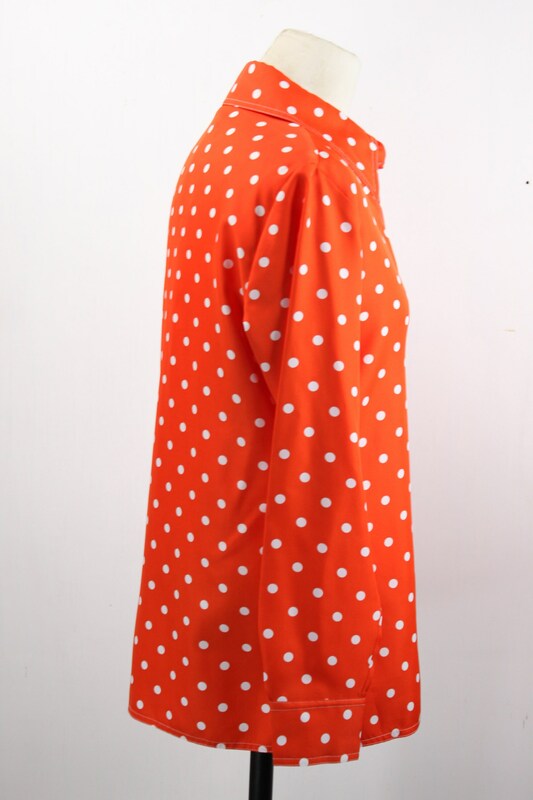 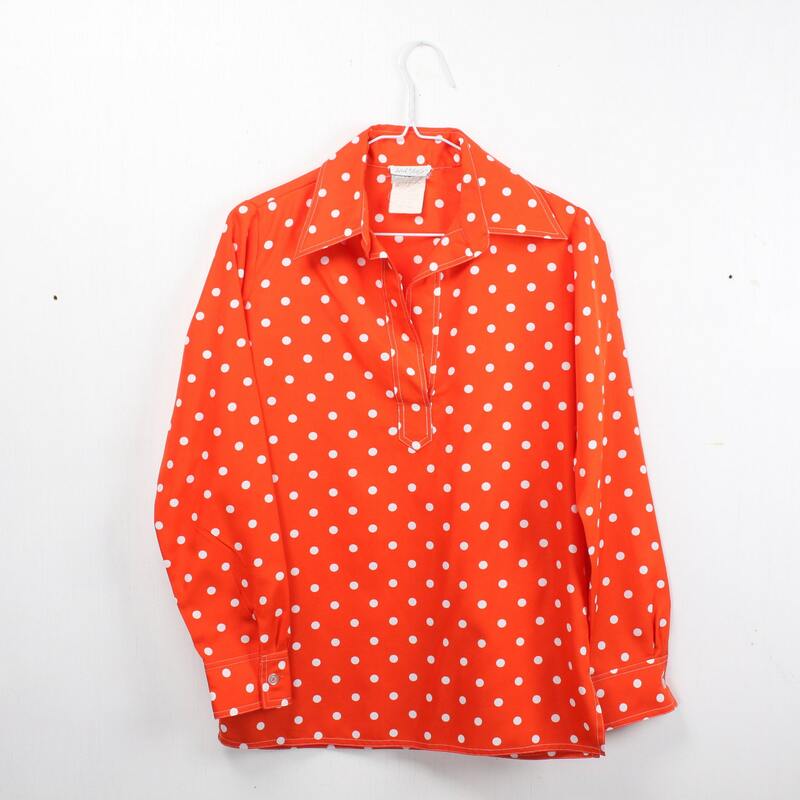 The blouse features a classic 1960's smock style presented in a red with white polka dot motif! 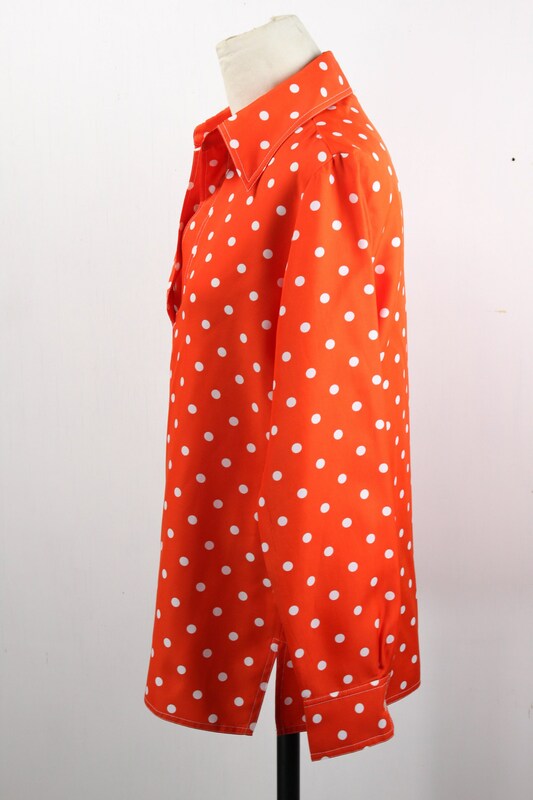 This shirt has a buttonless v neck style, butterfly collar, vented hem and single button cuffs. 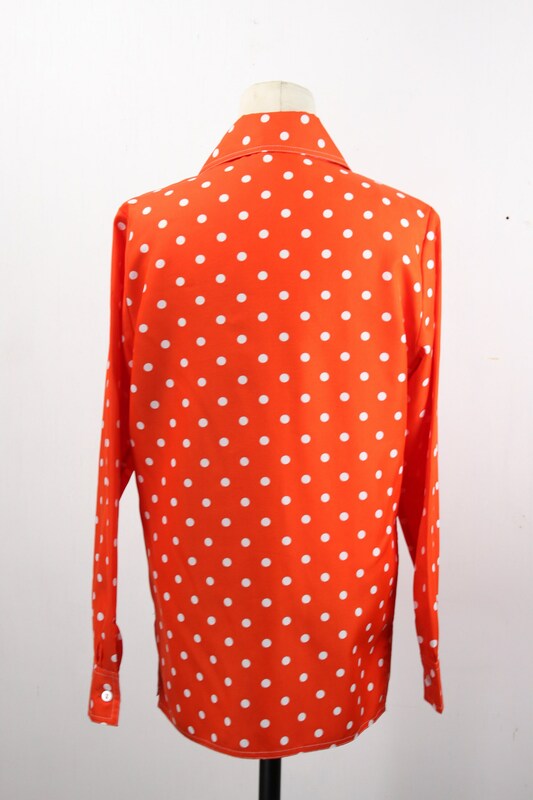 - Neck to hem: 26"
- Underarm to hem: 16.5"